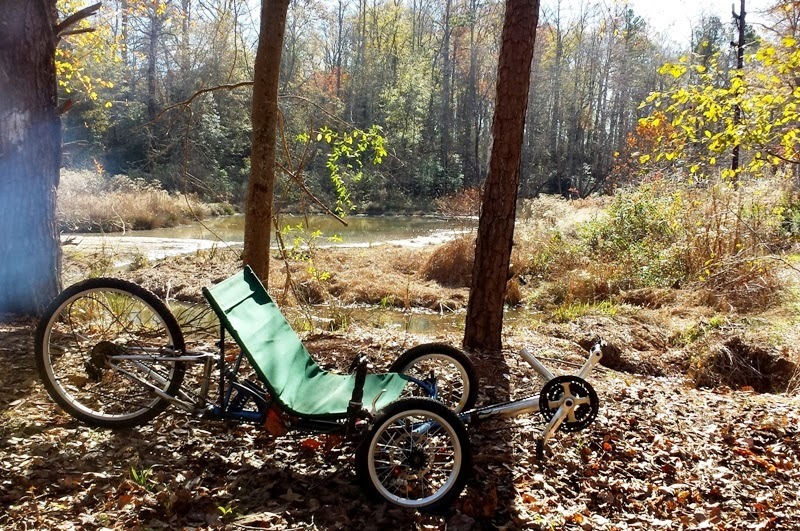 I took the trike offroad for the first time... this is just before I started the electric conversion. It did better than I would have thought. I mainly added this because I don't have a picture of the whole trike on this blog. I've ordered some more batteries that should be here in a few days. If you know anything about Spartanburg, SC... this is near the USC Upstate campus. I do a lot of riding from where I live to there and back.